Bake.Frost.Repeat: Power T Sugar Cookies - GO VOLS! 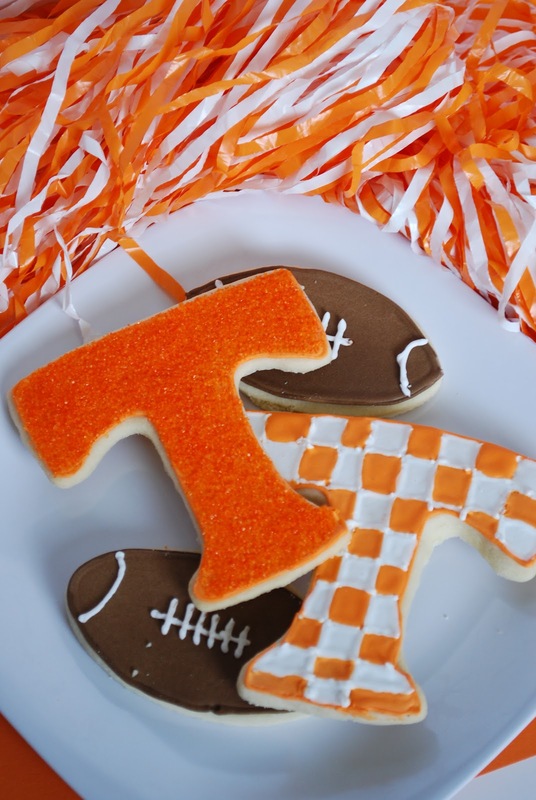 Power T Sugar Cookies - GO VOLS! I have to admit, cookie decorating is not one of my favorite things to do. I get excited about the idea of doing it, but once I gather up the bags, couplers, tips, color gels, cookies, baking sheets....(I really could go on), the whole thing just loses it's coolness to me. But when I saw this Power T cookie cutter, I knew I had to have it! Even though cookie decorating may not be my thing, I will definitely continue to make these. Now I just have to get a Michigan "M" cookie cutter for my husband. recipe from Bake@350 via So How's It Taste? On a floured surface, roll out dough to 1/4" thick sheet, and cut into desired shapes. Place shapes on parchment or silpat lined baking sheets. Place entire baking sheet in the freezer for 5 minutes (this step is important in helping the cookies keep their shapes nice and clean). Remove and bake in preheated oven for 10-12 minutes or until edges are just barely starting to turn golden. Allow to cool for a few minutes on the baking sheet, then transfer to a cooling rack and cool completely prior to decorating. Aw cute! I worked briefly in the trademark office at UT in grad school and got to approve the licensed items, like the Power T cookie cutter! 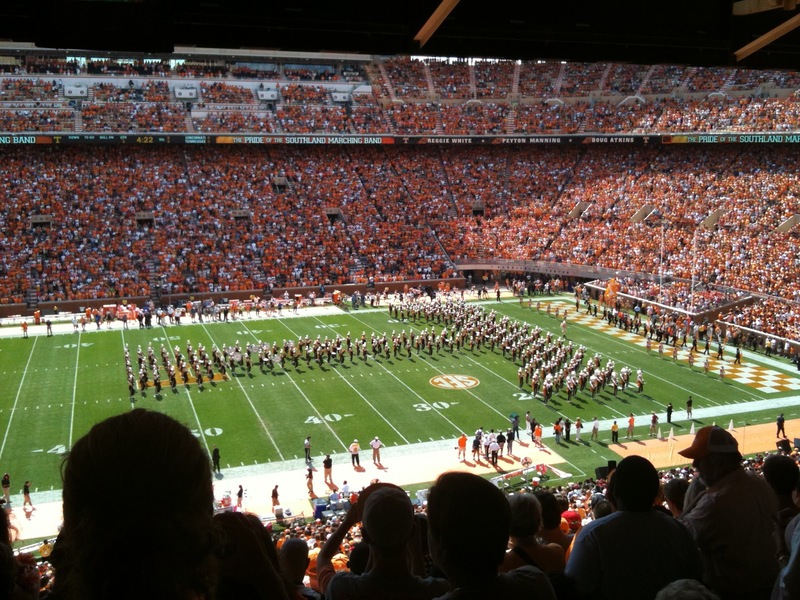 Love the checkerboard! SO AWESOME!! You know I love these! I second the love for the checkerboard cookie! That took a long time, I bet! Love these,where did buy the Power T from please? I got the Power T cookie cutter a few years ago in the bookstore on campus. It's a ritual to go before the ballgame. If you are in the area, you may want to try Alumni Hall (a store dedicated to ALL things UT) or the see if the campus bookstore still has them. Good Luck and GO BIG ORANGE! !